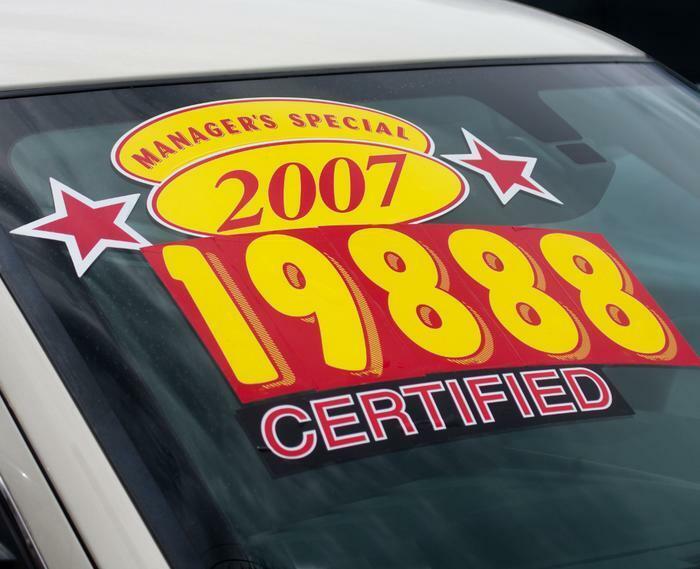 If you buy used a car from an individual or a dealer, you should have the vehicle's title in hand before you drive the vehicle away. Not getting the title up front can lead to big problems. For starters, you should ask to inspect the title before finalizing the deal. If the vehicle has been in an accident and declared a total loss, the title will show that it is a “salvage” vehicle. While many people buy and sell salvaged vehicles, they have much lower value and the price should reflect that. If you are buying a car from a dealer and the salesman says he will mail you the title, it's probably best to keep looking. You can't even be sure the dealer owns the vehicle unless you see the title. Different states have different rules but in Missouri, Attorney General Chris Koster says you should not take possession of a vehicle until you receive the title. Koster recently filed seven civil lawsuits and two criminal cases against dealers and finance companies in his state, accusing them of violating that law. While the law is clear, he said complex financing systems tempt dealers and lenders into taking shortcuts. If the dealer has borrowed the money to purchase the car, the lender may hold the title. Until the lender is paid, it often will not release the title. As a result, the buyer is told he may have to wait a week or more to receive the title. How bad can it get? Last fall a Denver TV station reported that a car dealer was accused of selling cars and never getting around to sending the buyers a title. The station found more than 40 complaints against the dealer at the Colorado Department of Revenue Division of Motor Vehicle Fraud. Some buyers waited months without receiving a title. You are probably dealing with a curbstoner if the vehicle is parked along the street or in a vacant lot; the person selling the car asks you to meet them at a location other than their residence; the seller insists on cash or the title is not in the name of the seller. In Missouri, Koster is cracking down on auto sales in which the title is not delivered at the time of sale because he wants to send a message. Because different states have different rules, you need to know that the law says where you live. The website DMV.org -- a private enterprise not associated with government agencies -- has an easy to use tool to find the rules in your state.